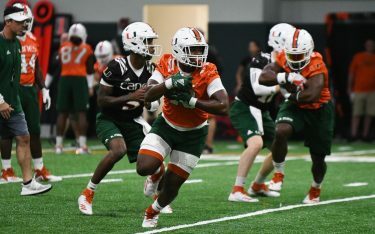 Michael Mediavilla pulled out his best performance of the season, and the University of Miami Hurricanes took advantage of four costly North Carolina errors to defeat the No. 8 Tar Heels 6-2. “Midtown,” as teammates call him, had not been pitching with the same efficiency of a year ago to this point in the season (4.85 ERA compared to 3.40 in 2016), but on Sunday afternoon, he showed consistent form of the player who separated himself as the Canes’ best pitcher in 2016. The junior left-hander was on a roll in Chapel Hill, at one point retiring seven-straight batters. Mediavilla (3-3) allowed just two earned-runs in 6.1 innings of work – throwing his way out of multiple, dangerous situations with runners in scoring position. Miami (11-13, 4-5 ACC) scored four runs in the top of the sixth inning, led by tactical hitting by the Hurricane offense. At one point in the inning, Miami had the bases loaded with no outs. After leading 6-0, the Hurricanes suffered a scare when sophomore pitcher Andrew Cabezas allowed two RBI-singles in the bottom of the seventh and then surrendered loaded bases in the bottom of the eighth to the Tar Heels (18-6, 6-3 ACC). Sophomore closer Frankie Bartow then replaced Cabezas to stop the bleeding and was able to finish off the final innings for his sixth save of the season. Shortstop Brandon Gali led the Canes offense with two hits and two runs-scored along with an RBI. Designated hitter Gregory Veliz recorded the first triple of his career in the top of the fourth inning that put the Hurricanes up 2-0. North Carolina’s pitching stumbled from the opening pitch, with sophomore starter Cole Aker getting yanked from the game early in the top of the first after hitting the first batter and then walking the second. 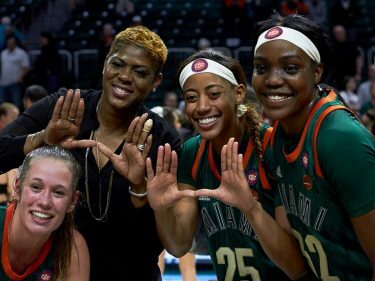 UM was able to salvage one win out of three matchups against UNC. Miami will travel to play FGCU at 6:30 p.m. Wednesday before returning to Coral Gables to host Wake Forest in a weekend series at Mark Light Field.